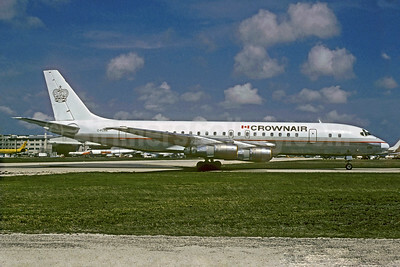 (Canadian Aviation Express Airlines) (CRW) (Toronto-Pearson) 1989 - 1990. Photos. Framable Color Prints and Posters. Digital Sharp Images. Aviation Gifts. Slide Shows. Crownair (Canada) McDonnell Douglas DC-8-52 C-FCRN (msn 45752) MIA (Christian Volpati Collection). Image: 933834. 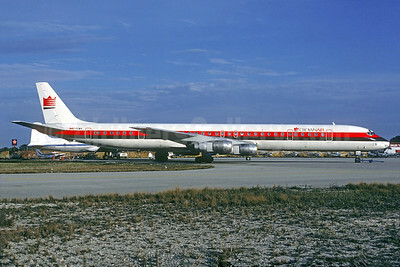 Crownair (Canada) McDonnell Douglas DC-8-61 C-FCMV (msn 46038) (Christian Volpati Collection). Image: 933835.